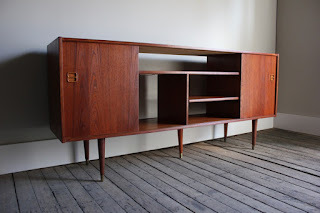 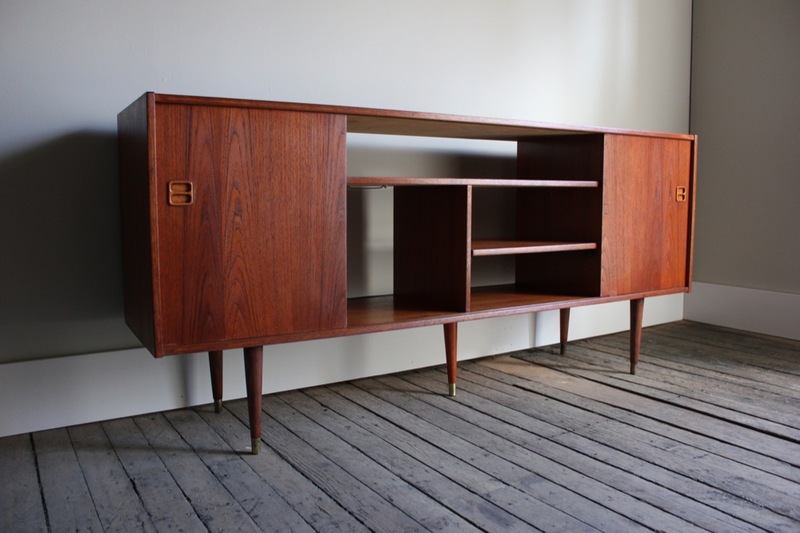 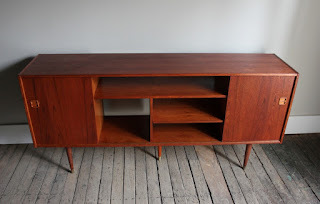 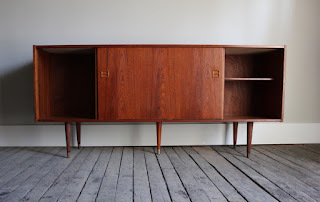 This mid-century modern media console underwent a pretty significant transformation. 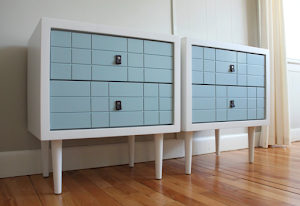 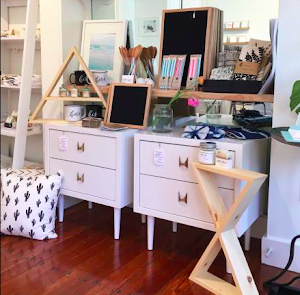 To give it fresh look, we removed the skirt at the base, and we added vintage tapered wooden legs. 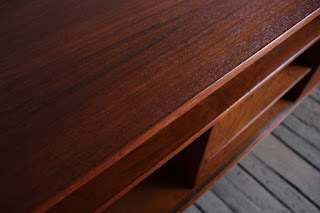 We sanded the surfaces down, and used a combination of Watco Danish Oil and tung oil to achieve our desired finish. 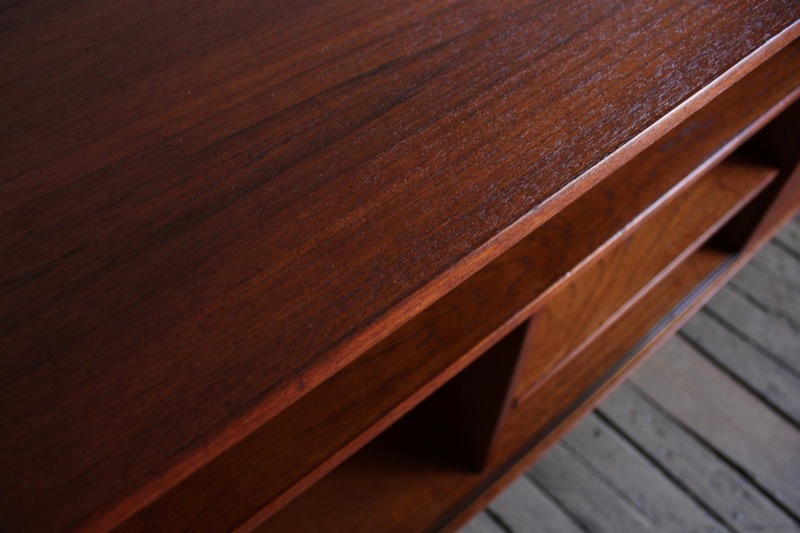 The track for the sliding doors goes all of the way across, and the back of this piece is nicely finished. 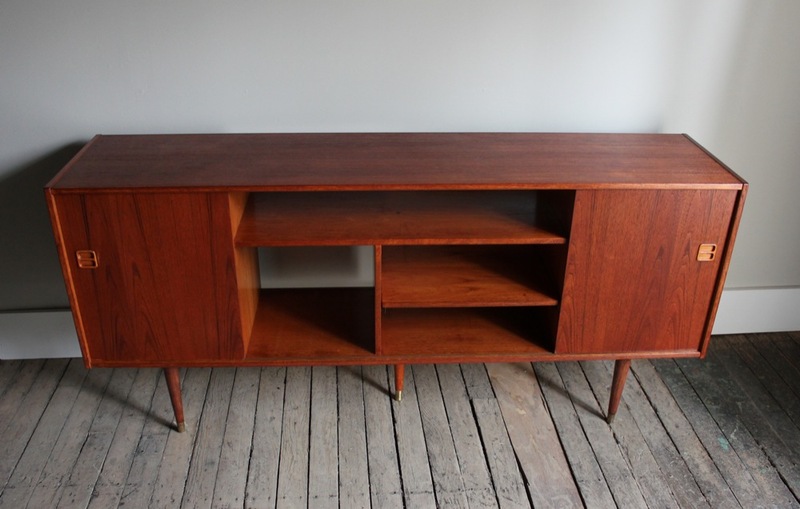 This console measures: 69 1/2"W x 16 1/2"D.